"From somewhere in the Mediterranean, we are the Voice of Peace". This was the station ID of one man's mission for peace and stability in the Middle East - The Voice of Peace broadcasting from the Peace Ship. That man was Abraham Nathan, better known as Abie Nathan. The story of the station is well documented in the museum with many recordings of the station. The station had a fascinating sound with a mixture of Western hits and oldies and Middle East pop with local commercials, presentation mainly in English but also in French, Hebrew and Arabic. Many of the British presenters were well known names from British offshore radio and ILR stations. The station also put out specialist classical, easy listening and disco programmes. The frequencies used were 100 Mhz FM in stereo and 1540 kHz AM. The station operated 24 hours a day and had an estimated audience of 30 million covering Cyprus, the Lebanon, Israel, Jordan, Greece, Egypt, the Sudan, Syria and Southern Turkey. The station commenced broadcasting on 26/5/73, and between then and 1/10/93 when it closed down, it suffered periods off the air due to financial difficulties. 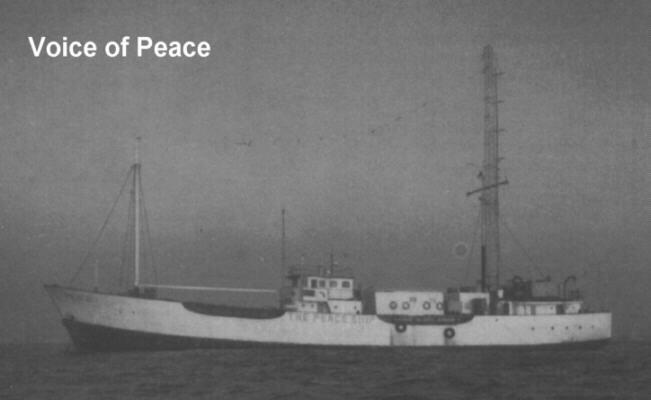 After the Voice of Peace closed down, it stayed out at sea. The station was never granted a license to broadcast from land, and plans to turn the Peace Ship into a museum never came about. On 28 November 1993, Abie deliberately sank the ship, and it is now at the bottom of the Mediterranean Sea a few miles off the coast of Israel.